I'm still in a sea of boxes but now the location has changed. Why won't these boxes unpack themselves? I don't want a repeat of our last move where we had an unpacked box in the living room for an entire year. The night before move day I attended an event with girlgetalife. Two hours turned into 5 hours. I stayed out late and had a few glasses of wine. That was a bad move but I had so much fun. I wore an outfit that I've posted before. I thought I was switching it up by wearing different shoes but it turns out I had the same shoes on in this post from April. My accessories are different though. I'm not wearing the chevron coat and thick tights. I like pieces I can wear year round. I love the ruffle bib front. It's like I'm wearing a big statement necklace. I love those and will have to keep my eyes peeled while out shopping...and back to what I wore.. I am also wearing one of my latest thrifted finds -- aviator sunglasses. It's so weird to have so much of my sparse brow peeking out from the shades. I do love the gold frames though. The purple leather clutch was thrifted a while ago. I found it while packing. In fact, my entire outfit is put together based on what was not at the bottom of a box. I like! I'm off to do more unpacking. Maybe. Love this dress. Its so pretty. Good luck unpacking! Thanks! I've accomplished a lot but there still seems to be boxes everywhere! OMG I love the dress. I need to shop at your hot spots. We're moving in Oct so I'll be hitting the boxes soon. Good luck unpacking! What a darling dress! Thanks for being a part of Monday Mingle! I love the color of that dress! you are not alone, I am there with you (in my MJ voice) goodness I hate unpacking - the only thing I look forward to is looking thru the clothes and possibly making some outfit while I am at it. your dress is amazing! I love the color and I love the cut! Cute dress! Thrift finds are the best kind of find - you look great! This is a great look!! The lavender clutch is a perfect addition and great find on those sunglasses. 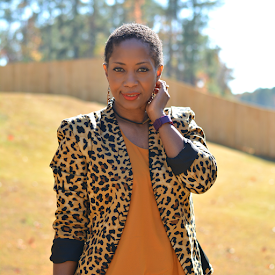 Thanks for joining the 'Real Girl Style' link up! That dress is such a pretty color and I love that detail. The clutch is just perfect with it. Popping over from EBEW. I love year-round pieces too-it makes remixing so much easier. And this bib front is speaking volumes to me right now!